Jon Coupal of the Howard Jarvis Taxpayer Association has argued that the proposal is an example “of California’s knee-jerk reaction to default to a new tax whenever there’s a new problem,” the Sacramento Bee reported. (In another example, last year bureaucrats proposed a new tax on text messages that was ultimately shot down.) Coupal says there shouldn’t be new taxes for water system improvements when the state is sitting on a $ 14.2 billion surplus. In 2015, as part of the emergency drought funding, then-Governor Jerry Brown approved an additional $ 19 million in funding was allocated “to meet interim emergency drinking water needs for disadvantaged communities with a contaminated water supply or suffering from drought-related water outages or threatened emergencies,” according to the state water board. In June of last year, voters approved Proposition 68, which authorized $ 250 million for clean drinking water projects, as well as drought preparedness measures. California already has one of the largest tax burdens in the country. Its top tier income rate is the highest at 13.3 percent, as is its sales tax rate of 7.25 percent. In 2017, the state collected $ 82 billion in tax revenue—nearly $ 4 billion more than expected. 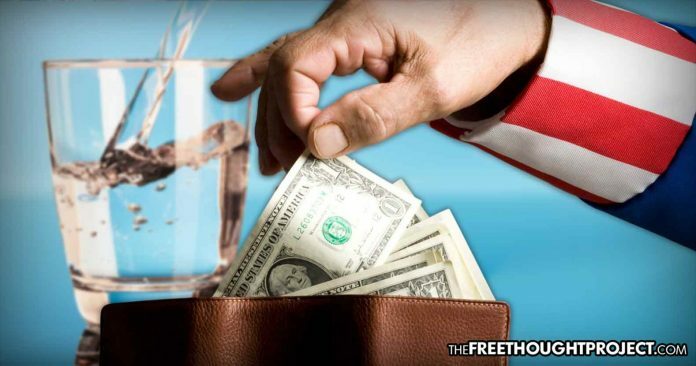 It appears voters could be growing apprehensive toward new fees for drinking water considering they defeated Proposition 3 in last year’s election, which would have allocated $ 500 million in bond funding to help the state’s water suppliers meet safe drinking water standards.